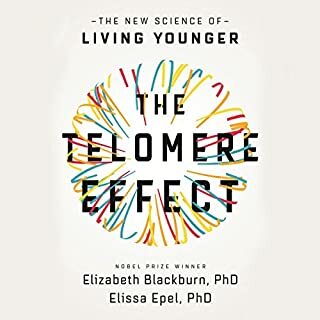 Dr. Fuhrman presents the fascinating science that demonstrates how the current epidemic of adult cancers and other diseases is most closely linked to what we eat in the first quarter of life. He explains how a nutrient-rich diet increases a child's resistance to common childhood illnesses like asthma, ear infections, and allergies. More people than ever are eating a whole-food, plant-based diet. Studies show that it is better for our bodies and better for the planet - but it isn't always easy. Let A Plant-Based Life be your guide. 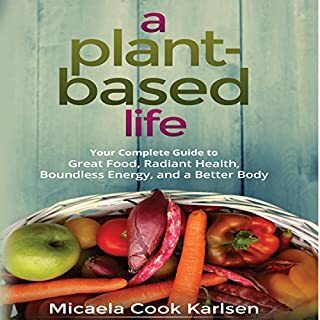 Whether you're taking your first steps on this path to wellness or recommitting yourself to success, author Micaela Cook Karlsen clearly maps the way. Her program enables you to set your own pace and stay the course - without relying on willpower. Why do some of us get sick with greater frequency than others? What makes us more susceptible to illness? Are we doomed to get sick when our coworkers and family members do? Is there a secret to staying healthy? The evidence is overwhelming: we can supercharge our immune system to protect our bodies against disease - everything from the common cold to cancer. Nutritional science has made phenomenal strides and discoveries in recent years, and when this new research is applied it enables us to seize control of our health like never before. 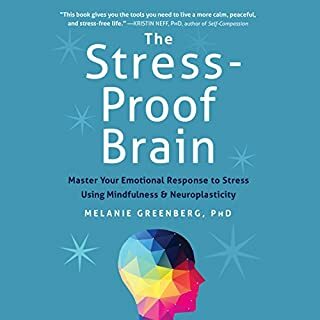 Dr. Fuhrman explains this new science, providing everything you need to know to put this knowledge into action in your kitchen and in your life. 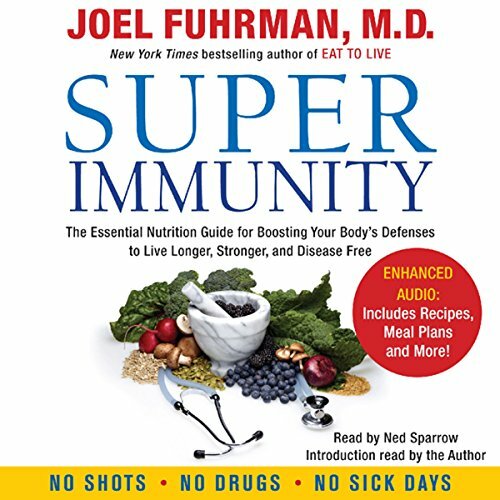 Combining the latest data from clinical tests, nutritional research, and results from thousands of patients, Dr. Fuhrman proves that super immunity exists and is well within reach for those who choose it. We all have the ability to live healthier, stronger, and longer than ever before. Isn’t it time you discovered super immunity? 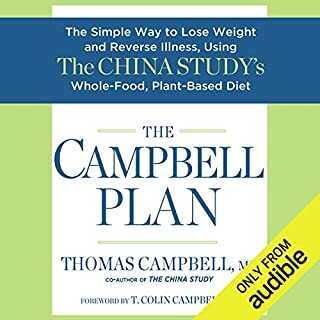 I am 3 weeks into the initial phase of Eat to Live so already at the strictest phase outlined in this book -- so I am staying put nutritionally. I do have a family dinner once a week and allow myself a slight indulgence at that meal -- when I say slight I mean a small serving of fish or low fat dairy or an extra whole grain or vegetable starch, not meat, poultry, full fat dairy or sugary desert. I have RA and was very interested in the testamonials in this book. The improvement in my overall health has been amazing and I have lost 10 lbs - which considering that I had already been dieting for 5 months, and losing very very slowly, before begining begining ETL is amazing. 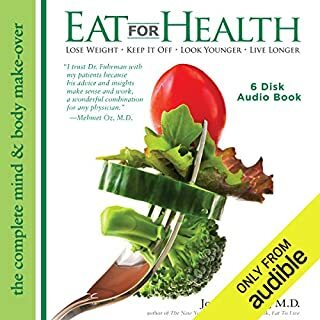 I gave this audio book only 4 stars because once again just like with Eat to Live - I had to buy the print book as well in order to get the menus and recipes. 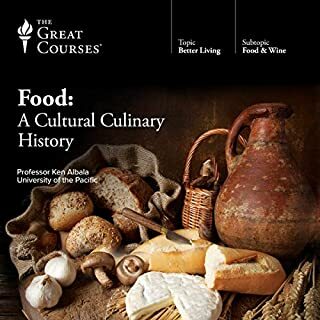 I feel it is unfair that audible readers do not get the same PDFs with recipes and menus that come with the audiobook CD version. Absolutely top notch - I love this book...all of it. And I go over chapter 5 every few days to make sure I didn't miss anything. If anyone needs knowledge on strengthening their immunity to viruses, bacteria, cancer - this is the book to get. I think following this book could be life changing. What made the experience of listening to Super Immunity the most enjoyable? I listened to this book in the car, on my HTC Thunderbolt. It worked great! What about Ned Sparrow’s performance did you like? The pdf is available above, just under the Publisher's Summary where it says, "Download the accompanying reference guide". Dr. Fuhrman is a national treasure. 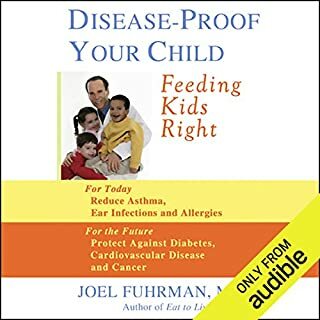 I, my husband, and many of our friends and family have had health issues cured by following Dr. Fuhrman's sensible, logical, and scientifically sound recommendations. These issues include depression, psoriasis, allergies, high cholesterol, weight issues, and high blood pressure. 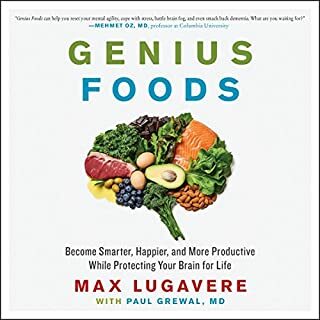 We now eat the way Dr. Fuhrman recommends because it is easy and delicious. We will never stop eating this way because we are not willing to give up our new found health and energy. Good health and vitality are the body's natural state when you give it the nutrients it needs to thrive. 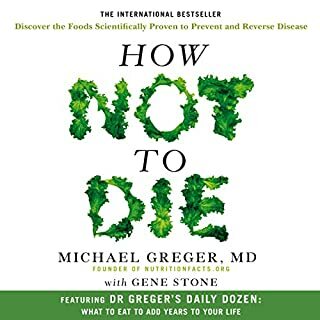 This book change my life as far as my diet and thinking about the future of my health I would recommend it to anyone that's interested in being healthier living longer and having a quality-of-life. 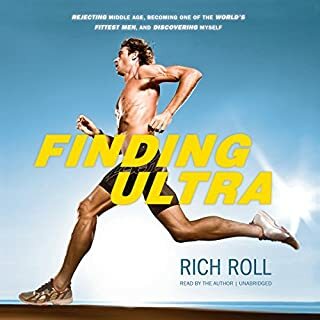 Excellent audiobook and very detailed and professional information. 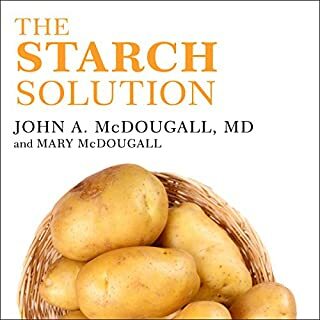 Finally a book that provides an easy explanation and easy to follow guidelines with recipes. 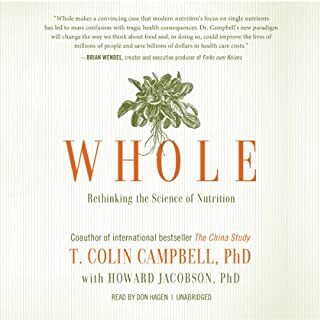 Follow this book with Brian food by Dr. Neal Bernard and then Whole by Collin Campbell Phd. Truly life changing, I cannot thank you enough. 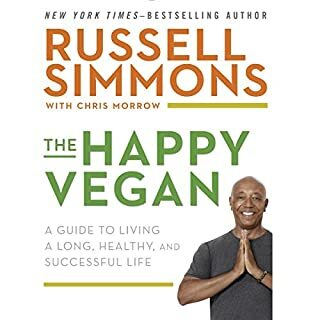 This book is worth reading but I think for a larger overview Eat for Life, by the same author is better. It's actually worth reading both. 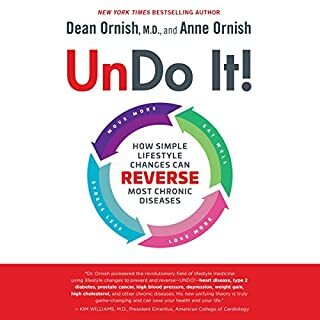 I expected more detailed information about the process of increasing ones immunity and how long it would take in different scenarios to overcome a weak immune system. The narrator put me off a bit because he does not read smoothly and some sentences don't make sense because he stumbles and does not put the emphasis in the proper place. What other book might you compare Super Immunity to and why? Would you be willing to try another one of Ned Sparrow?? ?s performances? No. He has a nice voice but stumbles a lot and does not read smoothly. What were they thinking when they let this book be published with this idiot reading. Job Opening: We're looking for a narrator that can read. It's still tolerable to listen to even if some of the sentences don't make proper sense and even though some words are very akwardly pronounced. Yo soy Homeopata y estoy de acuerdo con todo lo que nos enseña el dr. Hasta lo que dice de la Homeopatia ya que los productos que venden en farmacias no son homeopáticos tal cual. Si a estos cambios de dieta, hiciéramos cambios mentales y usáramos homeopatía crearíamos una nueva especie humana. This book is AMAZING however the narrator had pauses in the wrong places throughout. it was horrible to listen to and I actually then purchased the same title in book form. Seemed the author was unsure of the words, pronunciation, meanings. Very uncomfortable to listen to. Content excellent - great inspiration to keep your nutrition clean. THE POWER OF NUTRITION is wonderfully explained. mispronunciations, pauses in wrong places, horrible listen to a great book. Was Super Immunity worth the listening time? It would be with a good narrator - otherwise I recommend buying the actual book. Yes a real eye opener stuff schools should be teaching or presenting but sadly will not. 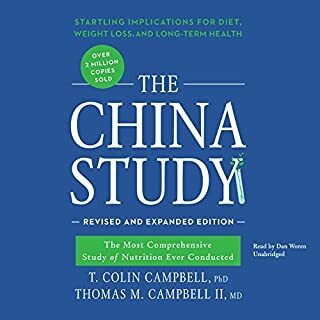 Similar to salt,sugar,fat both books should be required reading unless of course you enjoy being sick and headed for an early death. Will open your eyes to the crap you are feeding your kids and to be blunt why the youth of today are fat and lazy. You will be sickened by how badly you have been fooled by the food companys or should i say cigarette company's that switched industrys. 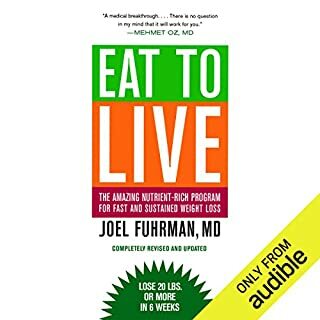 Despite considering myself a healthy eater, this book by Dr Joel Fuhrman lit a switch in me to uplevel my nutritional intake by 200% compared with my non vegan diet. Had so much to learn from his experience, passion, scientific data and patient case studies that blew my mind! And surely will guarantee me and my hubby a vibrant life. Ned Sparrow does a great job reading. 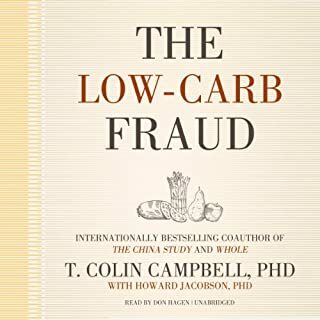 A must read for the health conscious!! Very detailed and well explained. If more people implemented what the book explains we would see much less sickness/disease in the world. Would you consider the audio edition of Super Immunity to be better than the print version? Scary, sometimes it's right to be afraid. Massive wake up call. you are what you eat, cliche but correct. Really enjoyed this book. loved it. statistics are overwhelming as to why animal protein and processed foods are killing us! this sort of nutrition information should be compulsory in schools and colleges! The facts in this book contradicts the facts in other books, draw your own conclusions.